Cereals have always held their share of the Indian breakfast platter for ages. But with the changing times, there has been a paradigm shift in this space. Health and wellness are the new buzzwords today and the average Indian consumer is more health conscious today than ever before. The traditional breakfast is being fast replaced by the Ready-To-Eat-Cereals (RTEC) which are seen as a more convenient and healthier option. We, at 'Hindustan Foods Limited', saw a big opportunity here. We believed that there is still enough room for a product which offers something 'extra' to the consumer. That's when C'nergy™ was born. 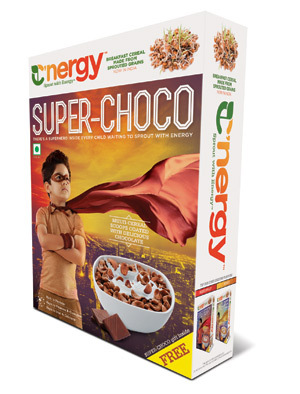 C'nergy is a Ready-To-Eat Cereal with a strong USP. Something which people have considered to be of great value in their meal preparations for ages – Sprouted grains! Sprouted grains, also known as 'living foods', are considered to be a potential powerhouse of nutrients. 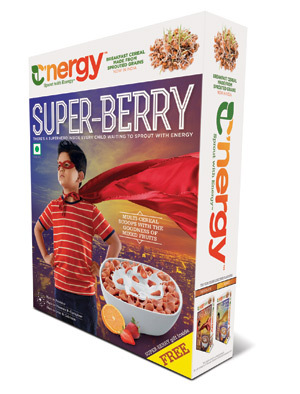 C'nergy ready-to-eat cereals are made from sprouted grains, the first breakfast cereal brand in India with such a unique offering. C'nergy multi-cereal scoops are available in three exciting flavours- Chocolate, Honey and Mixed Fruit. While it can be consumed by anyone above the age of three, the brand is specifically targeted towards kids and teens. C'nergy is now available in all premium retail outlets across major cities in the country. You can also buy it online on Amazon, Big Basket and Local Banya. You can also login to our Facebook, twitter, Instagram pages to get interesting updates on the brand.